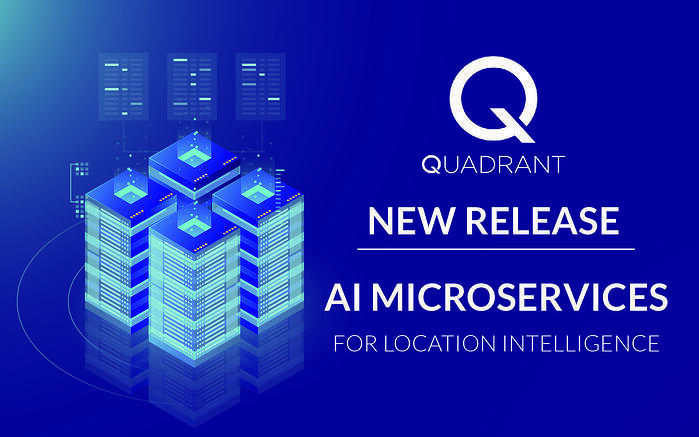 Our AI algos and models are part of a new microservices layer designed for location intelligence organizations to find specific audiences with greater ease. 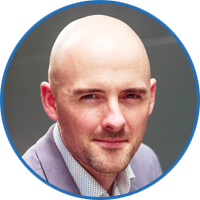 At Quadrant, we are dedicated to providing the best data because we know better data equals better business decisions. And with this new microservice layer we are providing the tools to make our clients’ lives easier. Our algos and models work on the raw location datafeeds and provide actionable intelligence and information from specified location areas. This helps data professionals target a range of audiences -- from football fans around a stadium to tourists near an attraction to diners who frequently visit a restaurant chain. We heard from our customers how so many people in the industry must start from scratch when conducting their analysis. So we have created the tools to speed up the process. These algorithms and models address the specific location-based use cases, which are increasingly popular across the industry. Our algos and models work on the raw location datafeeds and provide actionable intelligence and information from specified location areas. The initial algos and models allow users to set up target queries for areas in a specific circle, or in a polygon shape on a map, or around a particular Point-of-Interest and they can understand the daily footfall in a given area. These capabilities will enhance any company’s location data work by allowing them to gain better insights into their target audiences. Organizations can take advantage of the models to find shoppers who frequently visit a mall, potential drinkers in the vicinity of a bar, or tourists likely to have been through a specific airport. The Point-of-Interest model can also be used by urban planners to understand travelers’ habits and see how long it takes them to pass from one point to another or to identify their preferred routes. With Quadrant location data along with the algorithms and models, clients can determine seasonal increases at tourist spots so that resources can be allocated effectively. Or a retailer can assess how many people are likely to pass by a store and correlate revenue. Organizers of concerts and sports events can take advantage of the tools, too. They can learn where fans congregate most to determine, for example, where to locate concession stands. We plan to keep building out enhanced models and algorithms to solve more real-world use cases. Have a problem you need help addressing? Reach out to us and our data science and engineering team will be happy to assist. Payment for using the tools will be done with QUAD tokens, which underpin Quadrant’s ecosystem. There are three annual subscription tiers; silver, gold and platinum. Quads are convertible in 1:1 basis from eQuads which are available for purchase from cryptocurrency exchanges or directly via our Service Credits. For those who are not experienced with cryptocurrency markets, our friendly support team is able to guide you through the required steps. We cannot wait to see our customers take advantage of these tools. *Quadrant is not connected with coinmarketcap or any third party exchange in any way whatsoever. And is not liable for any direct, indirect or consequential loss resulting from purchasing eQuads from these exchanges. Use at your own risk.